Today has been a day. This week has been a week. Fully-formed ideas are just not happening for me. 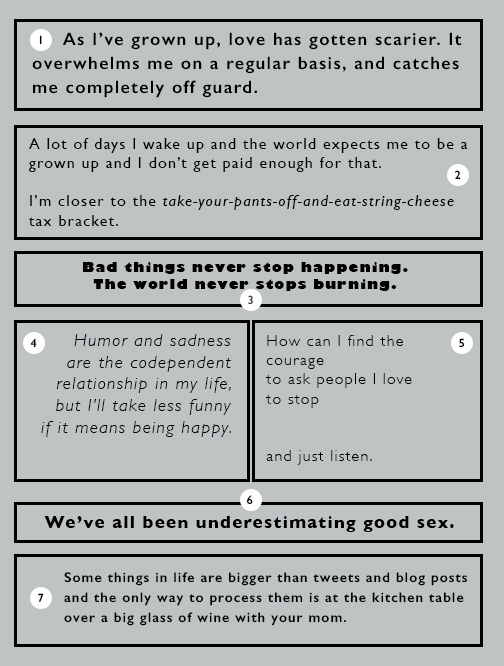 So here are seven thoughts too small to broadcast and too big to quell. Consider this a peek straight into the parts of my brain that have been overactive since the day I uttered my first word, and that have been working on overdrive recently. I’m cheating and calling this my #100DaysofPhotoshop as well, and saying that today I worked on organizing my layers and rediscovering the tedium of text. Layouts are not my thing, so design-minded individuals please forgive me.